Located in the far southern reaches of the Atlantic Ocean and some 640 kms east of Tierra del Fuego, the Falkland Islands are a remote archipelago consisting of two principal islands (East and West Falkland) along with over 700 smaller islands. This is a world of remote islands, pristine beaches, fabulous scenery and an impressive variety of wildlife. 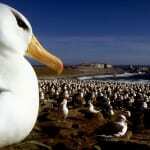 The bird life here is incredible including seven species of penguin, albatross and the very rare striated Caracara. 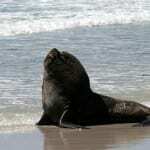 The marine life is equally abundant with sea lion colonies, the comical elephant seals and Killer whales are often spotted. The islands also bear witness to the conflict of 1982 and there are a number of beautiful memorials to those who were lost during the Falklands War. 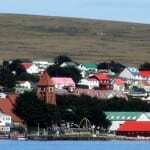 Start planning your Falkland Islands holiday by getting in touch with one of our travel experts. 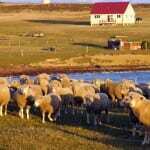 Volunteer Point is a beautiful peninsula on the north eastern tip of East Falkland. 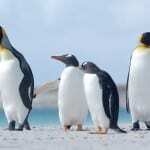 It is a privately owned nature reserve that is home to numerous Gentoo and Magellanic penguins as well as a large variety of other birdlife and a long white sandy beach where you can often spot a Sea Lion relaxing in the sun. 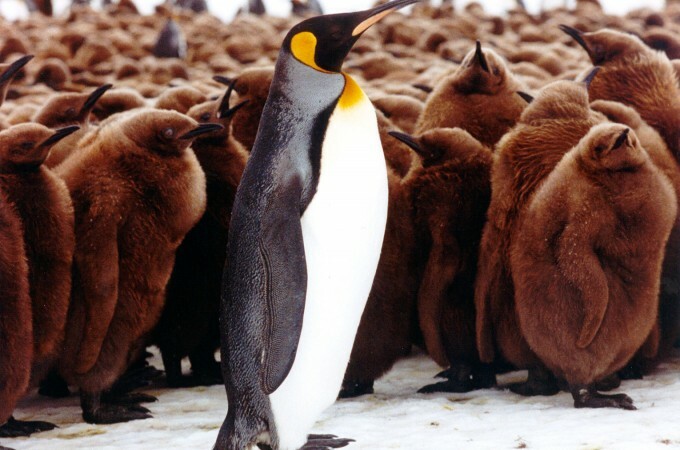 However it is another penguin species that is the real star of the show here. Tall, elegant and with a rather haughty, beak-in-the-air regal attitude, the King penguins at Volunteer Point, offer a fantastic opportunity to get pretty close to these wonderful and gorgeously photogenic birds. 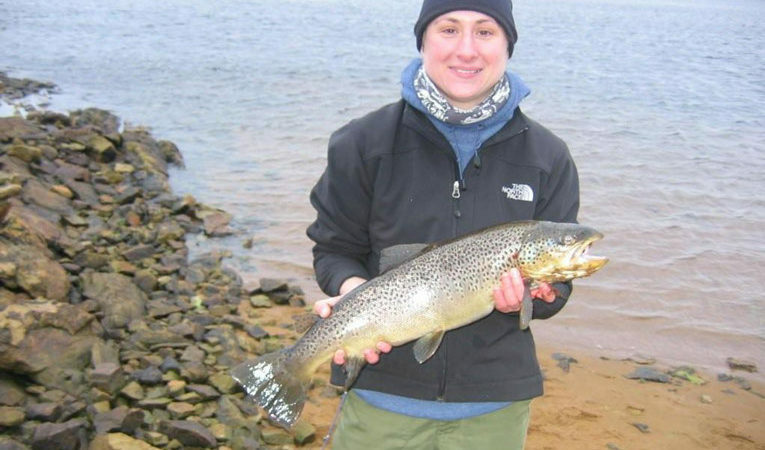 Brown & Sea-trout fishing in the Falkland Islands is renowned as being amongst the very best in the world and there are a number of rivers and estuaries where fish can be caught. The trout season runs from 1st September to 30th April, but the best months are typically September/October and February/March with larger fish usually caught during the latter period. What makes fishing here so fabulous is the remarkable sense and feeling of remoteness enjoyed by these rivers on both East and West Falklands and the fact that you will be in some truly wild and pristine locations. The fact that it is possible to catch some very large fish with the current sea trout record here standing at over 22 lbs does help to make it even more appealing ! The best time to visit the Falkland Islands is November to March when the days are long and clear, although often cool and windy and changeable at any time. However this is the perfect time to see a huge variety of wildlife and enjoy some fishing. Cruise ships can also pass through during these months making some places busy.